Day 92 – I spent today getting lost! I decided when I got out of work, to go to a semi-local (Howe, Indiana) used book store to see if I could find a replacement book for two for the library (no luck) then headed back into Michigan to go to Bronson to pay a bill. I have been on this particular back road over and over – it is my usual route to Bronson. I have no idea where I turned in the opposite direction, but I was driving down some dirty back roads! I wasn’t too concerned because I knew I would eventually get somewhere familiar. 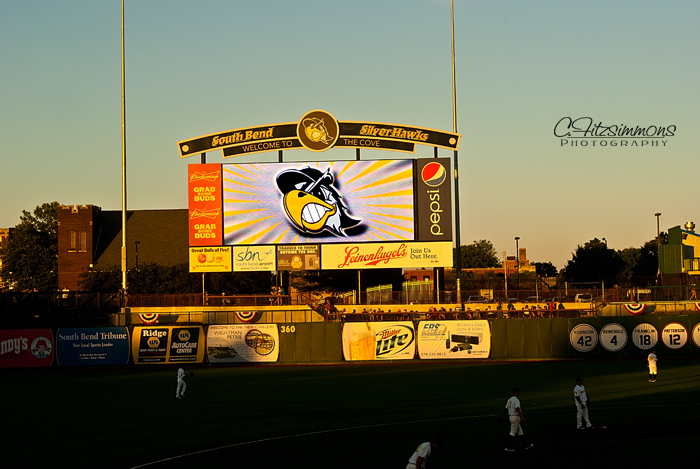 We are getting ready to head outside for a fire in the backyard and to roast a weinie or two and maybe enjoy a smore, so I am posting a photo I took on the 4th at Coveleski Stadium. 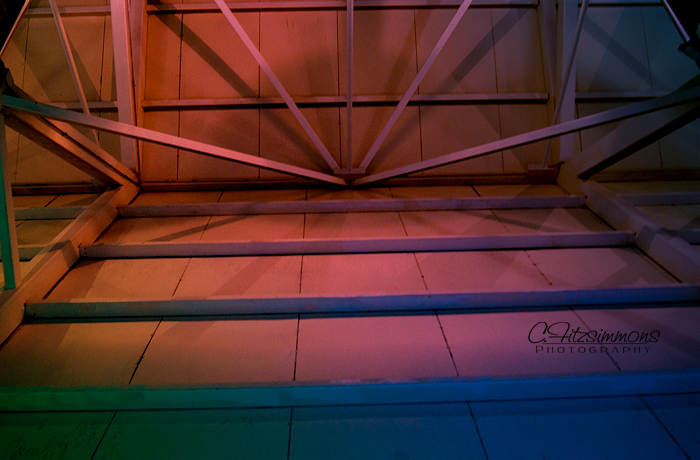 Day 90 – Skidding in with I think zero seconds to spare – this is the inner roof of Coveleski Stadium in South Bend, IN. I just leaned backward and shot. I did add a gradient set to overlay for a bit of interest. Day 89 – I am in the middle of trying to install my shiny new toy: Creative Suite 5.5 Design Premium. Oh my goodness am I having issues; I have been uninstalling CS4 and installing CS5 for the past 4 hours – computer crashed in the middle of the install and it didn’t want to cooperate after that, so now I am uninstalling CS5 and getting ready to re-install the whole thing – EGAD! I am glad that I got my shots for today ready early! 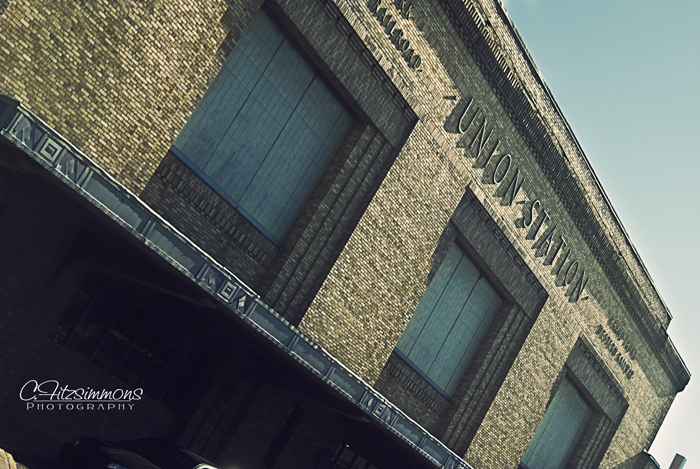 This is Union Station in South Bend, Indiana – one of those cities in that top 10 dying cities list. There is a HUGE dilapidated old building behind the station that I really wanted to photograph, but alas circumstances would not allow for it.